Multidimensional Activation of your Higher Self, the Inner Guru; Advanced MerKaBa Teachings, Sacred Geometry and the Opening of your Heart. Take any meditation practice to the next level with practical tools and powerful insights while achieving more heart centered awareness and understanding. Are you practicing the MerKaBa Meditation and want to make it more fulfilling? Maureen will give you MerKaBa insights to enhance what you already have. 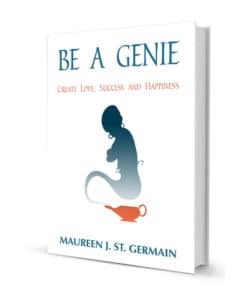 If you are looking to advance your Higher Self connection to true Inner Guru status, Maureen offers a practical, achievable roadmap to manifest a 100% accurate relationship with your Higher Self. Simply choose the Books & Blend Package below to receive 10% off both! If you are already practicing the MerKaBa, you will learn about taking the fast track with a Blow to the Heart, whether you are gaining mastery or simply maximizing it. 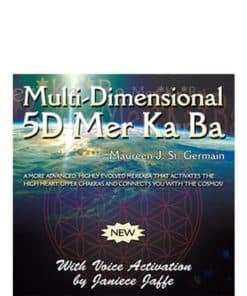 You will also learn how to achieve Fifth Dimensional Awareness. 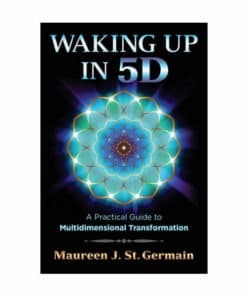 Maureen’s book is called Beyond the Flower of Life: Multidimensional Activation of your Higher Self, the Inner Guru; Advanced MerKaBa Teachings, Sacred Geometry and the Opening of your Heart. If you are looking to enhance your meditation practice or are ready to take it to the next level, this book was written with you in mind. 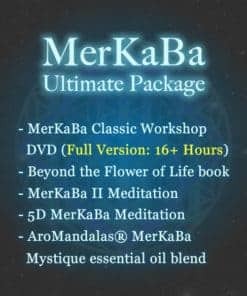 By teaching the MerKaBa to over 10,000 students worldwide and developing an Advanced MerKaBa workshop to accompany this work, Maureen has developed tools, techniques and knowledge to support your MerKaBa practice. Beyond the Flower of Life will bring you peace, contentment and mastery. 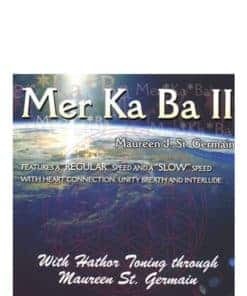 This unique book consists of steps to developing an accurate understanding of the MerKaBa Meditation and its capabilities – while strengthening your heart connection and learning to program your MerKaBa. Since 1995 Maureen has developed revolutionary techniques that will allow you to gain full reliable access to your Higher Self. 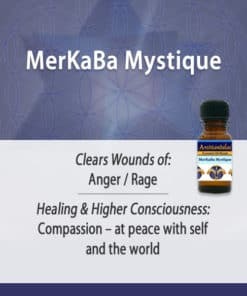 With these tools, MerKaBa Meditators will be able to achieve and exceed their understanding of the world around them and keep their heart open all the time. Throughout the book, Maureen includes personal experiences and stories told to her by my students that she has taught over the years. 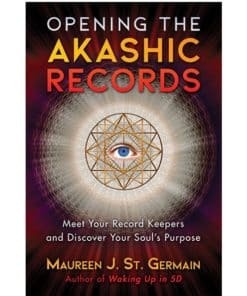 This book is loaded with personal examples from her files of individuals’ experiences of activating their MerKaBa and impacting the energy fields around them, e.g. the electrical power of a street lamp or at home. Creating Heaven on Earth tools are designed to help the reader become Fifth Dimensional. This book is ideal for one person looking for MerKaBa Mastery, or for a group of friends that want to help each other take their MerKaBa practice to the next level. Clients and students alike call her a Modern Day Mystic. Written with a clear connection to her Higher Self along with her strong sense of humor, this book strives to be very insightful and extremely entertaining. Along with MerKaBa insights, Beyond the Flower of Life offers the new information regarding the opening of the heart, the Christ Consciousness Grid, how to achieve Fifth Dimensional Awareness and going beyond Fifth Dimension. Since there is no higher energy than Love, Maureen believes it should be easy and effortless to marry the ego to the Higher Self producing Heaven on Earth. With almost 15 years as a MerKaBa meditation (Flower of Life) course instructor plus the outstanding success of her CDs, workshops and Sacred Journeys, she has more than proven this to be true. 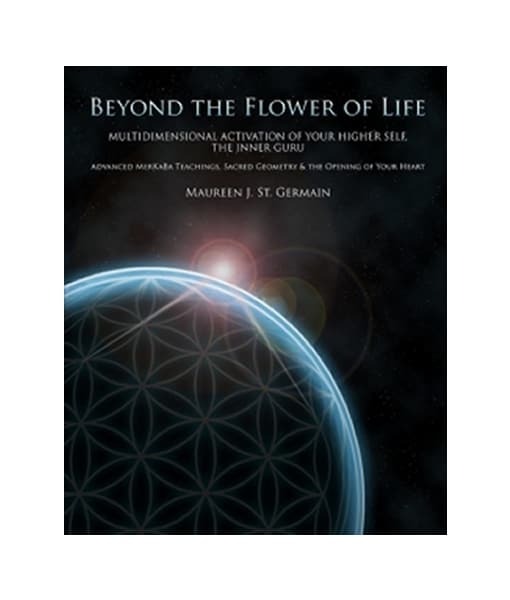 You may conclude that Maureen’s Beyond the Flower of Life is the long awaited follow-up to Drunvalo Melchizedek’s books, The Ancient Secret of the Flower of Life, Vols. I & II.